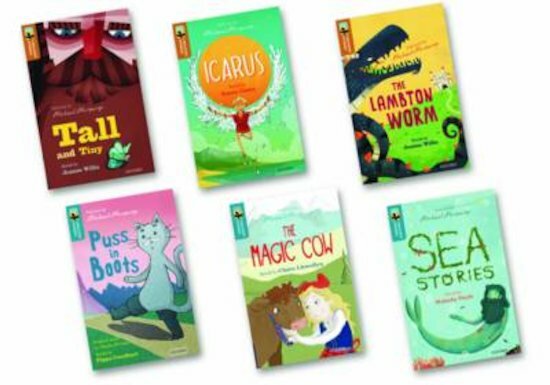 Big fiction for small readers! The world’s greatest ever stories, simply and beautifully retold. These Greatest Stories books from the Oxford Treetops series aren’t just quality reads that build your confidence with graded language. They also help you get to know the tales that have shaped our culture and literary heritage. Fairy tales, myths and folk tales that have been shared round campfires and family tables since the world was young. Chosen by Michael Morpurgo, and beautifully retold by major writers and illustrators. Know these stories; know your world. Susan Gates is a widely respected author of one-off novels inluding Cry wolf – Winner of the Sheffield Children’s Book Award – Pagans, The Hummingbird Secret, Batty the Hero and The Magician’s Pigeon, among others. The Revolting Rabbles is her first series.